Posted on May 28, 2018 by Rebecca V.
For anyone, whether or not you are a James Patterson fan, Expelled is not a disappointment. When four students are expelled over a posted picture, they must team up, whether they like it or not. They have to make decisions on who they can trust, in a world of guilty and innocents. But who are the true guilty and innocent people? You can’t make your decisions on looks and past events. Theo Foster was expelled for a posted photo on his Twitter account. He wants to find out who framed him, but where can he start, the people in the photo? His friends? Every single person in the school? Theo goes on throughout the book, trying to figure who framed him. After all, he is expelled, and now he has a large amount of time on his hands. People in public give him nasty looks. A 7-Eleven refuses to hire him. But that doesn’t stop him. With a group of four expelled kids, a video camera, and a small strip of property, nothing can go wrong, right? I would recommend this book to anyone that’s looking for a new mystery or James Patterson book. There’s beautifully written plot twists, and the real guilty person didn’t turn out to be who I expected. I personally don’t read many mysteries, so this wasn’t the best Patterson book I have read, but I still like it, and it wasn’t the worst either. This book has some mature themes and it for high school readers. 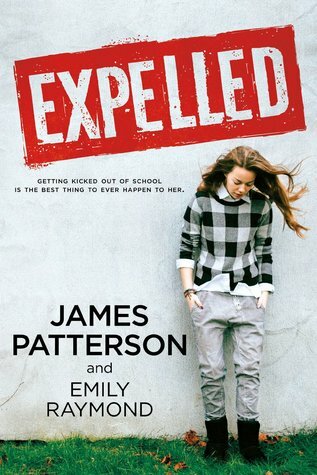 Expelled by James Patterson and Emily Raymond is available for checkout from the Mission Viejo Library.